Flaunt a perfect Manicure everytime with a wide range of nail care products by Savi. The Nice Nails Manicure Set contains smooth and shine Flexi files that clean and file your nails into top-notch shape. Frequent salon visits are a long-lost reality now. 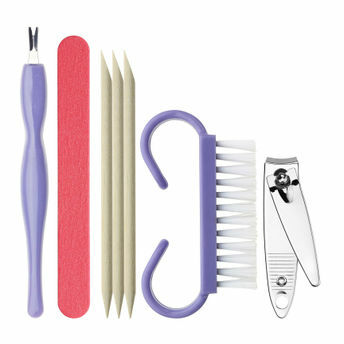 The kit contains: 100% Stainless Steel Cuticle pusher, Super sponge nail buffer, Cushioned nail shaper and nail brush.